Visually, few places show more disconcerting contrasts between the humming hush of dense green growth, and massive infrastructure development. Conceptually, these images juxtapose a wetland only 16 feet above sea level against highways and all that they imply: carbon emissions, climate change, habitat erosion, and eventual ocean rise. 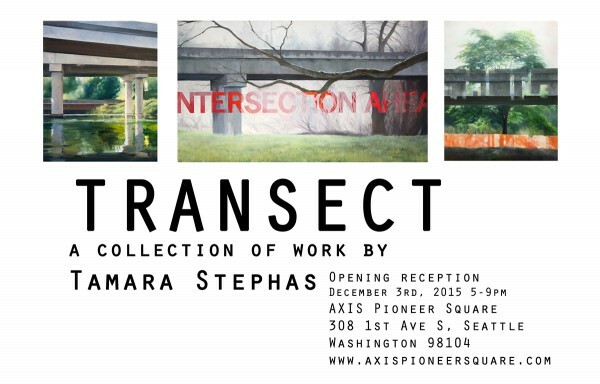 Come see this series and related paintings at Axis Gallery in Seattle’s Pioneer Square through the month of December.